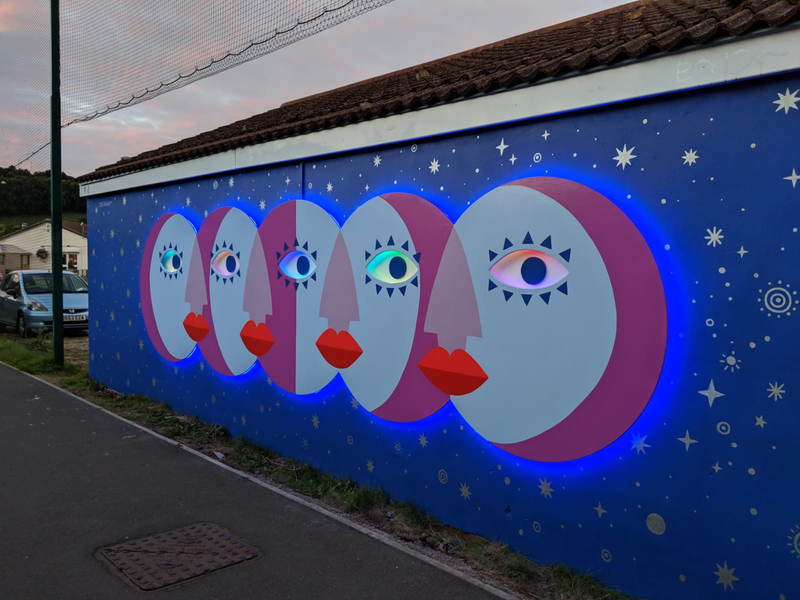 Located on a dark pathway, Electric Moon is a permanent art installation that creates a fun, vibrant and low cost lighting solution in the heart of Bristol, UK. 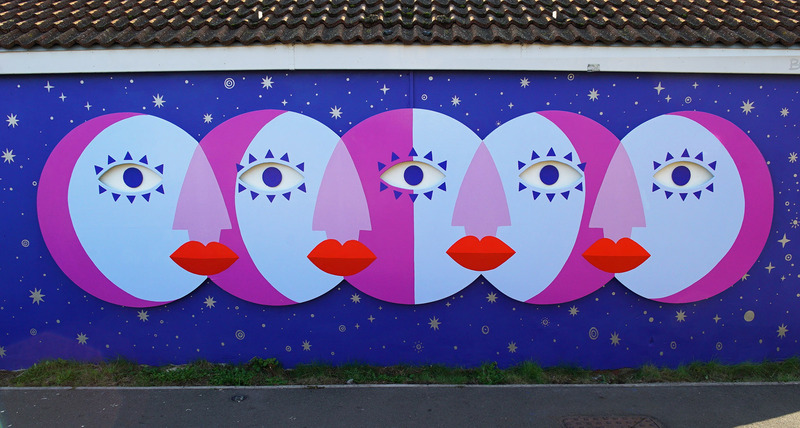 Electric Moon was created by local artist Zoë Power, who along with many other former students at the University of the West of England, frequently took this unlit path—a national cycling route—as part of her daily commute. After seeing cyclists and pedestrians collide, Zoe approached the university for funding with an idea: to light up the path with an art installation. 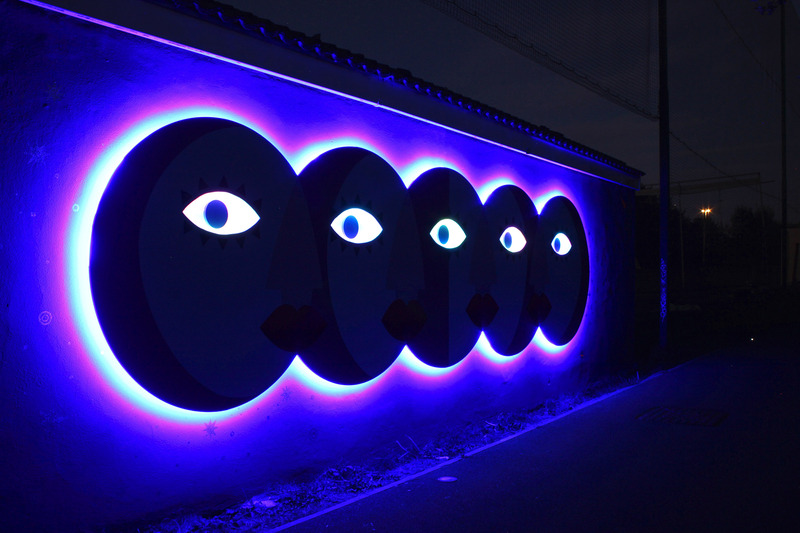 Using LED lights, faces of the moons glow at night to light the way for pedestrians and cyclists, whilst the moons' eyes glow and flicker, giving the illusion of movement as they follow the viewer down the path. While the materials used had to be extremely durable, particularly in the wet and cold UK weather, the total construction cost was only £1500, plus £2500 for labor, and an annual cost of £150 for electricity. The project only took two months, including two weeks of fabrication and installation.